1066 A.D. - Discover the origins of the original de Wolfe pack, led by the man known as WARWOLFE. Before the Duke of Normandy conquered England, a legend arose. A man so fierce, so brave, and so noble, that the mere whisper of his name could strike both fear and admiration into the hearts of all men. The story starts off in the modern era, featuring a young woman, Abigail Devlin. She is working on her graduate thesis which her expertise deals with medieval history. Through her research, she comes across a new knowledge of a story that is unknown and kept from the world. Of the bravery and courage of the unsung heroes of the Norman invasion. This is where Abigail wants to learn of their story and convinces an old man who has kept the truth to himself and is willing to share the story of these brave knights and the beginnings of the de Wolf Pack. These men literally risked their lives for a colleague, just to rescue the man, and that’s a kind of heroism that is largely lost these days. People have forgotten what it means to love your friends like these men loved each other. I think that’s the greatest thing I took away from this whole project – the love these knights had for each other. They were the original band of brothers. We are taken back through time to 1066 A.D, where we see the beginning of The Duke of Normandy conquering England. We see a group of brave knights, a band of brothers, who will fight and defend each other no matter what. They have a unique relationship, their bonds to each other are stronger than friends….stronger than family. But they have a leader, a legend who is the right-hand man of the Duke of Normandy. His name is Warwolfe. Gaetan de Wolfe is a powerful leader and commander, during the fighting, Gaetan comes across a Saxon, a woman with great fighting skills and he lets her live and asks that she remembers Norman Mercy. Shortly after the first battle against the Saxon’s, he notices that his closest friend is missing and he worries that his friend has been captured. Ghislaine of Mercia, has been training all of her life to be a warrior. It is normal for those in her family, she has a few brothers, one of whom is literally insane and not right in the head. She doesn’t get along too well with him and tries to keep her distance. But when she captures a Norman knight to be used for information and her half-brother finds out and takes the knight from her, she knows his life is in jeopardy. She has learned much from this knight, and that he is noble and has a good heart with a beautiful wife and a baby daughter he has never met. And she remembers the words from the dangerous man she ran across that spared her life “to remember Norman mercy” and she knows that she owes a debt. So she leaves the encampment to go in search of this Knights, brothers in arms, most especially the “Warwolfe” who is his closest friend and this is where Ghislaine meets the Warwolfe and sees the man and not just the warrior but she also recognizes the bond that these group of warriors and knights have for each other and the lengths that they are willing to go through to save their friend from torture. While on the journey of chasing after Ghislaine’s half-brother, both Ghislaine and Gaetan find themselves drawn to each other and discovering a hidden passion and a true love worth fighting for. Both are warriors at heart and have a sense of honor and duty. We see how Ghislaine comes to respect these Norman knights and starts to look at the world with less black and white and bit more grey. These two go through some hardships and challenges but honestly I loved seeing them find their own happy ever after which was so riveting and compelling. Their story was truly so well written, that I felt as if I was a part of their beautiful story. I have to say that this story was so in depth and well developed and I can’t believe I haven’t picked up this author before now. If you love historical romance and most especially, stories set in the medieval ages, this author is a must-read. I found this story to be so sweet at times. Not what you expect from a romance that takes place with so much war and fighting going on. But we get to see the true goodness and hearts of men and women that lived in this time frame. We see how much honor there really was, but I also loved how well balanced it felt. It didn’t feel modernized AT ALL but many readers would adore these books because I loved seeing how these men looked at women even back then. Especially these knights, were demeaning or harsh towards women and they definitely fell in love with Ghislaine pretty quickly. She is compassionate but a fighter and strong-willed just as they are. Gaetan is honorable yet kind and a true champion of Ghislaine’s and is willing to do anything to make sure she is safe and happy and wants her fighting and loving by his side. The historical context was BRILLIANTLY DONE and I was so so impressed with seeing the evidence of this author’s research into this era and she definitely knows her stuff. I am a big history buff, however, I felt like I was walking into a new world once I started reading this book, it was such an endearing and mind blown experience and I can’t wait for more. KATHRYN LE VEQUE is a USA TODAY Bestselling author, an Amazon All-Star author, and a #1 bestselling, award-winning, multi-published author in Medieval Historical Romance and Historical Fiction. She has been featured in the NEW YORK TIMES and on USA TODAY’s HEA blog. In March 2015, Kathryn was the featured cover story for the March issue of InD’Tale Magazine, the premier Indie author magazine. She is also a quadruple nominee (a record!) for the prestigious RONE awards for 2015. Her bestselling novel, THE WOLFE, is also a semi finalist for the 2015 Kindle Book Reviews award for Best Romance. “She writes so many novels! Are they any good?” The answer is… YES!! Welcome to Medieval England – hard-core, battle-scarred, power-driven alpha knights of the highest Norman order and the women who love them. Like High Middle Ages action and romance? Welcome to the Le Veque Medieval Machine. Kathryn’s Medieval Historicals have been called ‘detailed’, ‘highly romantic’, and ‘character-rich’. She crafts great adventures of love, battles, passion, and romance in the High Middle Ages. 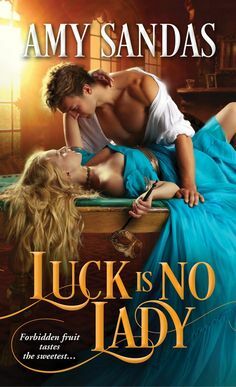 More than that, she writes for both women AND men – an unusual crossover for a romance author – and Kathryn has many male readers who enjoy her stories because of the male perspective, the action, and the adventure.